Always try to research what your competitors are doing, what their daily Instagram activity is like and how they do their posts. So it really works to research the core concept from your competitors who are doing really well and try to follow what they do. stories sit prominently at the top of the feed, they’re also easily noticeable. stories can be extremely beneficial and prompt users to keep coming back to check for updates. On top of regularly posting photos to our clients’ Instagram accounts, you can also create marketing videos around key holidays and milestones. You can create these videos using Animoto because they allow you to make square videos, which work well on Instagram. They also have many font options and make it easy to place text on the video, which is important for sound-off, mobile viewing. Because Instagram is owned by Facebook, we can place Instagram ads using Facebook Ads Manager, which ensures that the right audience will see our clients’ videos. Your image should include a caption that expresses the right message that your are trying to relay to your followers. It’s with the right caption that your visitors will understand the product or services for the image with a hashtag. which describe your topic and business product and services. You can use canva and pickmonkey tool to create attractive images. I find it effective to use as many of the 30 hashtags that you’re allowed per post. Be sure the tags are relevant to your post and brand and that they are worthy of including (they give you that handy preview of how many people are using a given hashtag, very useful). you can still send people to one link — the one that you place in your bio. This is why you’ll often see IG posts that say “Click the link in our bio for more info.” Instagram has intentionally not allowed users to post active links within the text section of their posts. Social media is about building a community, not a following that doesn’t care about what you offer and will never convert! Sharing other people’s content is one of the best ways to start building a real Instagram presence. If you use an business profile instead of a personal account, you would be able to use Instagram’s free marketing tools. This includes gaining access to key features such as a contact option and analytics that provides you access to impression and engagement data on your account. 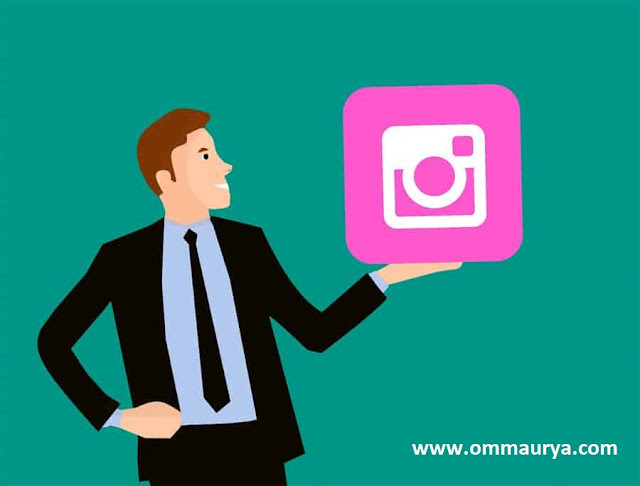 You can even connect your Instagram business profile to your Facebook account. This will give you a better understanding on how users are interacting with your content and know which content gets more response and capitalize on that information. Like Get free , register for free , visit now ,call now ,email us , send message etc. How to Improve Your Instagram Engagement ? There’s nothing worse than uploading an awesome photo that gets cutoff or doesn’t upload the way you envisioned. Instagram image size used to be 612px by 612px, but then switched to 1080px by 1080px to keep up with Retina and other high-resolution displays available on smartphones, tablets and laptops. That’s a huge improvement! Instagram still scales these photos down to 612 x 612 pixels, but you don’t have to worry about your image getting cutoff. 1. Snapseed – A complete and professional photo editor developed by Google. 2. VSCO Cam – Shoot and edit your images in one app. 3. Camera+ – Set exposure separately from focus. Easily control how light or dark your shots come out. 4. Overgram – Choose from 16 carefully curated and dramatically different fonts. Find fonts that are useful, fun, and beautiful, perfect for any occasion. 5. Pic Stitch – #1 photo and video collage maker. 6. Squaready – Allows you to post entire photos on Instagram without cropping. Instagram audiences are more engaged throughout the week. Quick Sprout found that Instagram engagement is fairly steady, with slight increases on Monday and decreases on Sunday. So, Mondays should get a little more attention since it’s the beginning of the week. 1. Monday and Thursday at any time other than 3–4 p.m.
2. Videos any day at 9 p.m.–8 a.m.
3. Experiment with 2 a.m., 5 p.m., and Wednesday at 7 p.m.
1. Like to win contests. Users can be qualified for the contest by simply liking the Instagram contest photo. 2. Hashtag user-generated content contests. Users can share their own photo by including a contest-centered hashtag to the photo to be qualified. 3. Tag 2-3 friends to win contests. Users can be qualified by tagging two or three of their Instagram friends into the comment section of the contest photo. 4. Make your product the prize. If your aim is to promote your brand, make sure your product is the prize. 5. Use a contest specific hashtag. Always use a hashtag when hosting a contest so that your users are aware that a specific hashtag is related to your contest. 1. Click Edit Profile on your Instagram profile page. 3. Type out your new bio and include the URL link you want. A tactic that’s often overlooked is using banner images. Banner images are multiple images posted that form together to create on big picture on your Instagram profile. The key to having a clean Instagram page is to have all your images look similar, or branded. Brand image is how people perceive your brand and it sets you aside from others. It’s important so customers can identify themselves with your product based on an image they see. · Choose a similar style of filter every time so that your Instagram page looks uniform. · Don’t use too many different filters. · Avoid black and white photos because they don’t stand out in a feed. · Filters that increase saturation (intensity of color in the image) don’t increase engagement. Facebook is the parent company of Instagram, so in order to create an Instagram ad, you will need to use the Power Editor feature through Facebook. 1. Click the Manage Ads tab at the top of the page. 2. Click on the left side of the page and then click Create Ad. 3. On the Create Ad page, choose whether to use an existing campaign or create a new campaign. 4. Enter a name for the ad and click Create. Just like with any social media platform, it’s important to respond to comments so that your audience knows your human and you care what others have to say. Let your audience know that you aren’t a social media robot — you’re a real person. · Your followers will be much more likely to post comments if they know that you are reading them and that you will respond to them in a helpful manner. · Use first names when you are responding. Addressing your followers in this way makes them feel more appreciated—not to mention that people love to be acknowledged. Small gestures like these help to build loyalty. · If you respond right away, there’s a chance that the conversation will continue since they may still be on your page.